Baljenac Island, soemtimes written as Bavljenac, is a very small island that can be found in the Šibenik archipelago on the Dalmatian Coast in the Adriatic Sea, and it belongs to the Republic of Croatia. Even though the country has more than 75 larger islands, and even more than 500 inlets, Baljenac is one of the most unique ones since it has a unique feature and a mysterious history which wraps everyone. 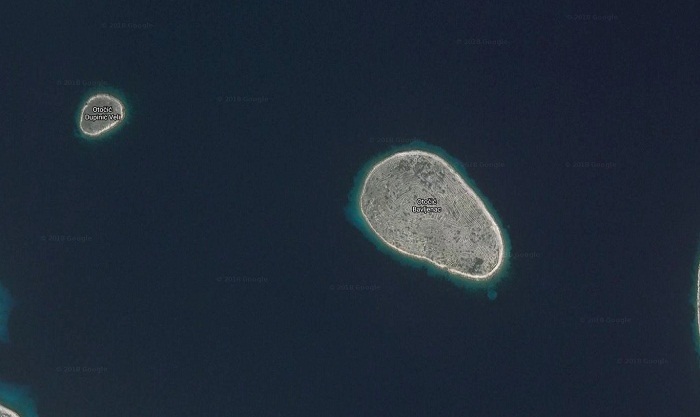 This relatively tiny spot in the sea is entirely covered with dry walls which were built by the locals, and altogether are measured to be 23 km (14 mi) long. There are recent researches which believe that the clear spaces were used to plant plants, such as vineyards, olive trees, figs and other fruits. 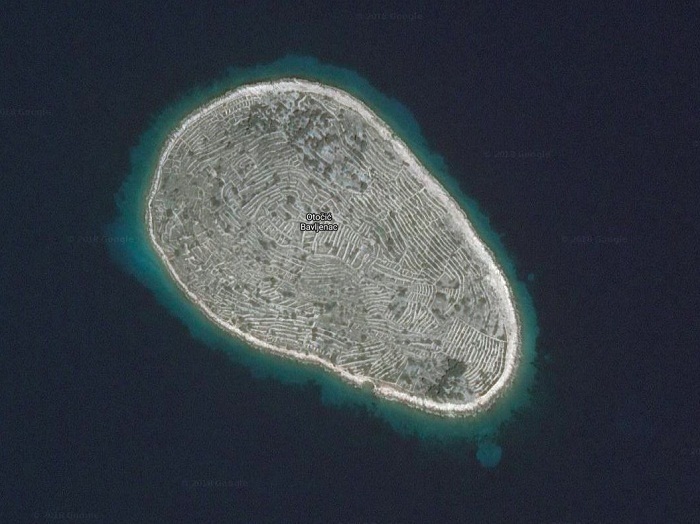 When seen from above, the unique shape of the islet gives the impression that an enormous giant left his fingerprint into the sea. 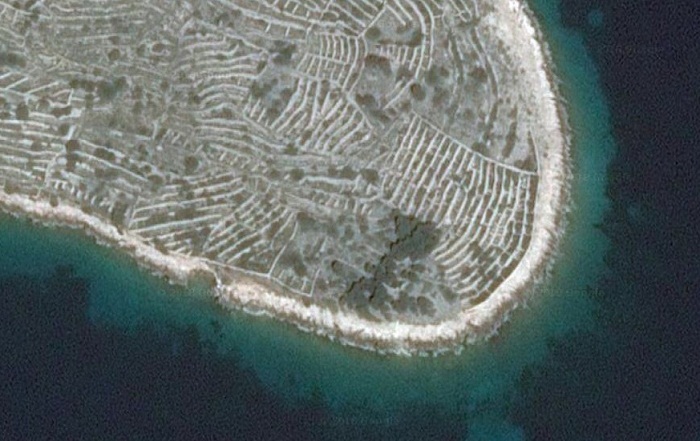 Recently, there has been a greater attention paid to Baljenac which worried the local community that the influx of tourists will somehow do some damage to the dry walls, which was the reason why the island is on the UNESCO Tentative List in order to be put on the Cultural Heritage Site List, with which there shall be bigger protection from the authorities. When this will happen, it is still uncertain, however, it is definite that Baljenac Island has left its mark on the people visiting this interesting Balkan nation.